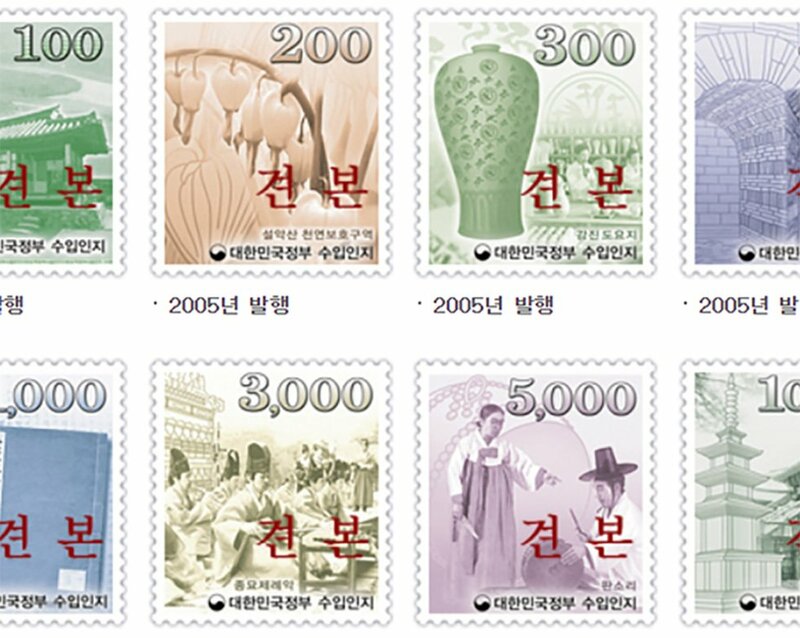 Examples of revenue/fiscal stamps, related documents and other materials from Korea. 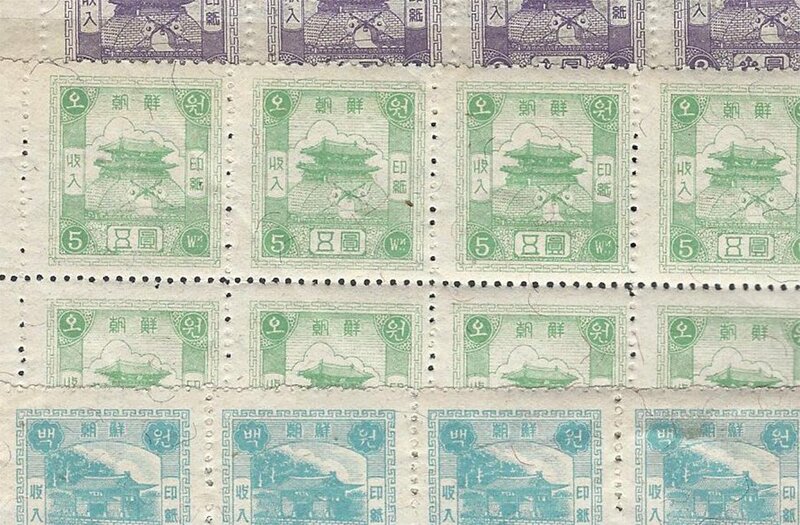 Also see the tags “revenue stamps”, “수입인지” and “수입증지” for information related to this subject in other parts of the website, such as the (auction) news. 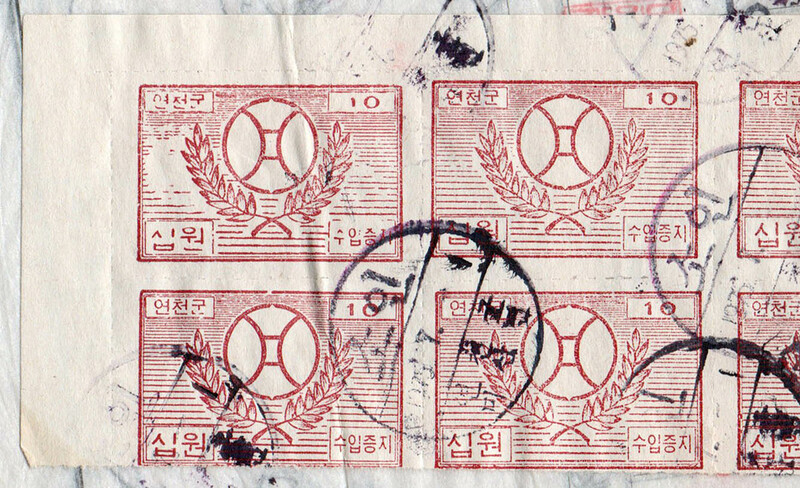 (From: KP May 1996 Vol. 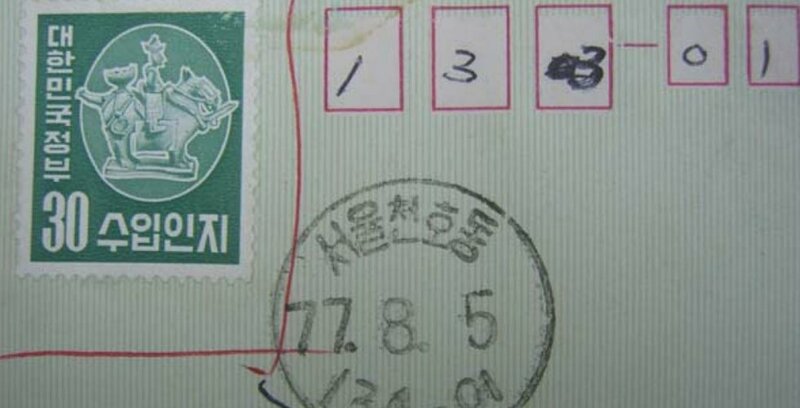 42 No. 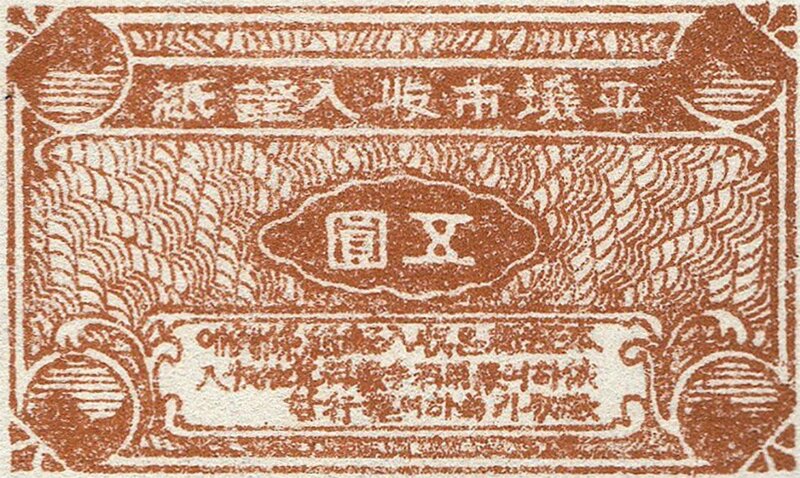 2, page 23) There is a small but steady interest in revenue stamps. 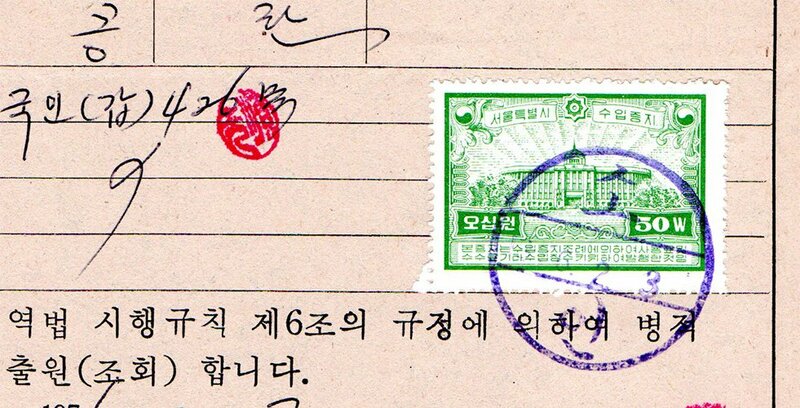 By chance, I obtained a set of North Korean revenue stamps. 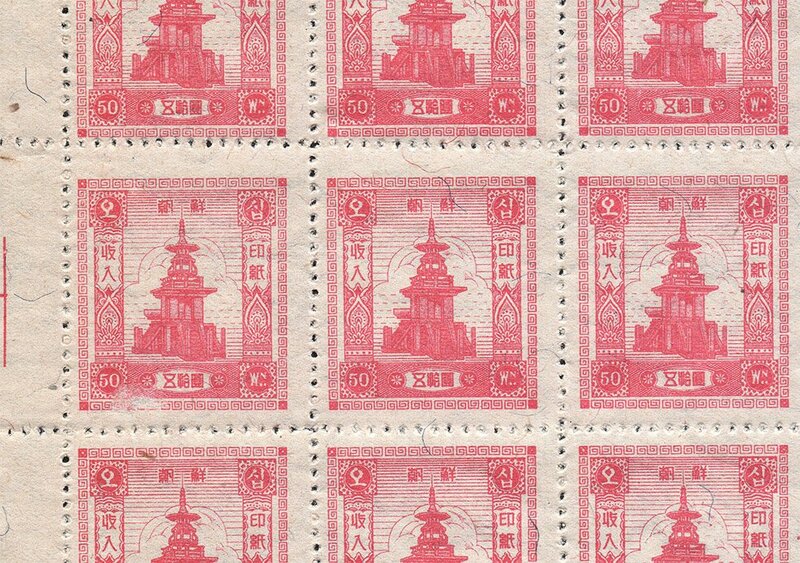 I have never seen them before, though that may not be relevant. 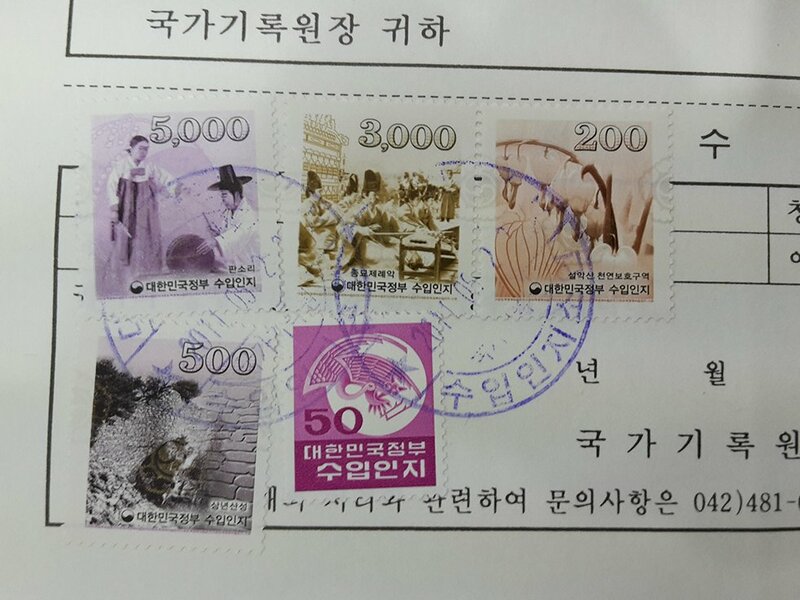 July 8, 2018 November 3, 2018 Al Sedita144Leave a Comment on Korean revenue stamp multiples: to separate or not?